If you’re an event planner or just throwing party and need some professional assistance to pull it off right, you should hire a bartender in the Florida Keys. 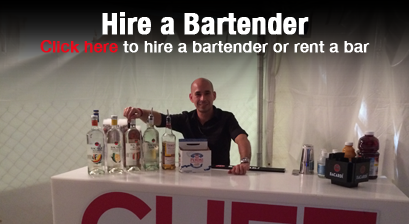 Elite Bartending School and Event Staffing can provide bartenders and mobile bars for any size event. If you’ve never considered hiring professional staff for an event, here are a few reasons why it can be a great investment. An event that provides a professional bartender is an event that makes a memorable impression. Staffing takes the pressure off of the event planner and the party host to manage serving guests. It also makes guests feel special, because they aren’t burdened with having to pour their own drinks. When you hire a bartender in the Florida Keys, your guests get to have a real mixologist prepare their drink. Many delicious cocktails are complicated to prepare, but when a bartender is serving, guests feel comfortable ordering their favorites. Statistics from the Key West Chamber of Commerce show that the largest percentage of employment in Monroe County, a full 23 percent, is in the accommodation and food service sector. That means nearly a quarter of all employees in the county are working in some capacity with guest services. You’ll get the benefit of this specialization for your party if you hire a bartender in the Florida Keys. Elite Bartending School is a destination for professionals who want to work in the heart of hospitality, in a location that’s known for its spectacular bartending. When you have a skilled bartender or a mobile bar at your event, it instantly becomes unique. Your guests will remember the professional atmosphere and the fun of being able to order their drinks rather than having to pour them on their own. And as the event planner, you’ll have the stress-free experience of knowing that specialists are handling hospitality when you hire a bartender in the Florida Keys. For more information, call Elite Staffing at (239) 900-6701 or send us a message by filling out our online form.